TRIBUTES have been flooding in following John Harrison's death. 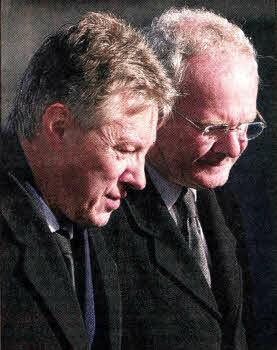 Peter Robinson and Martin McGuinness attending the funeral of John Harrison at Hillhall Presbyterian on Monday. The funeral of John Harrison leaves Hillhall Presbyterian Church on Monday. Another well known photographer and one of John's oldest friends Alan Lewis said he will be missed by all. "I loved him to bits. Everyone loved him. He was such a stalwart with his charity work. He had a tireless enthusiasm and just a lovely, lovely man" said Alan. 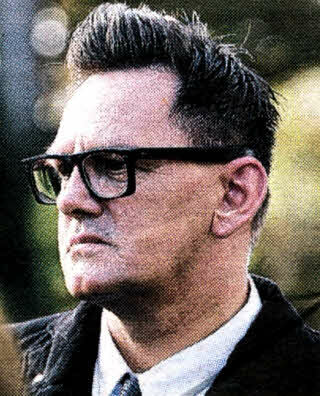 "John was a great personal friend, I've known him since he came to work in Belfast over 25 years ago, but great though my personal sorrow is, I know that his lovely wife Mandy and their three children Peter, Thomas and Catherine will be heartbroken for a great and gentle man has been so unexpectedly taken from them." Alan said part of the reason why John's photgraphs were so good was his ability to lighten tense moments and put subjects at their ease. He was in the Oval Office in Washington many times over the tenure of three different Presidents, (Clinton, Bush and Obama) and was even invited to travel along with former Secretary of State Mo Mowlam in the official car on the way to engagements because she loved John's craic. 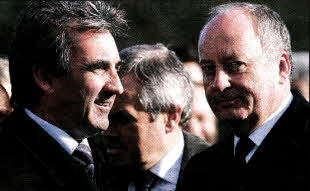 John was a member of the Northern Ireland Press Photographers Association and had been their Chairman. He was critically acclaimed for his Out of the Darkness' exhibition which was put on show in Washington to formally open the 'Re-discover Northern Ireland series of events that were being held in the capital of the USA to promote the move from conflict towards normality. Paul Faith, Chief Photographer of the Press Association of Ireland, who had been a friend and colleague of John's for over 28 years, said: "There are plenty of good photographers around, but John was the full package, his ability to take good photographs was equally matched with ability to communicate with his subjects, putting them at ease in sometimes the most difficult or awkward situations,"
He said: "When I was in the London office he would sometimes ring me up to send over the final editions when they had pictures in the papers which had missed the first or Irish editions. Unlike everyone else though who would promise to send me over some film, everytime I posted something off to John a few days later sure enough there would be a package of fiIm delivered to my door. The world in general is a lesser place for his loss." Environment Minister Edwin Poots said: "When I received the call early on Friday morning I was hugely shocked. We will all sorely miss him but his family will bear the pain of this for many, many years to come and our thoughts and prayers are with Mandy and the children at this time." Staff at John 's business (Kathy Walsh, Marie-Therese Hurson, Simon Graham, Aaron McCracken, Mike Thompson) issued a statement, saying: "John was not just our boss. He was our friend — someone we worked with, rather than for. "He will be remembered as the man behind the lens — remembered for his photographs of Presidents, Prime Ministers and Politicians. 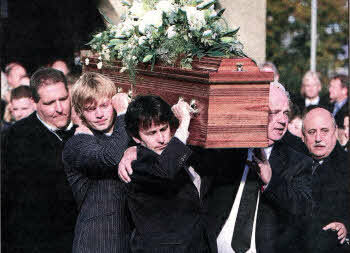 John will be sadly missed." Joanne Sweeney Chair of CIPR NI said: "We are shocked and saddened. John was an exceptional press photographer, a true gentleman to work with and a great friend and supporter of the CIPR and its members." The Mayor of Lisburn, Alderman Paul Porter, speaking on behalf of the City Council said: "John was a Lisburn resident and was a familiar face in Lisburn City Council for years. He really was a unique person, highly talented, warm and humorous,"
I first met John Harrison in the early 1980s at the North Antrim election count. I was a cub reporter for the Lame Times, he a trainee photographer with the Ballymena Guardian. The two papers were supposed to be rivals, but John never had rivals. Instead he talked as if we were colleagues. This was the time when Ian Paisley was the biggest star on the political stage - a huge man with an imposing personality. But John didn't talk to him like that. He charmed and cajoled to get the picture he wanted. But what was even more remarkable was to watch as he pursuaded the losers to pose. They were disappointed but they just knew there was something about him they could trust. And they were right. His photographs were breathtaking. Every one told a story - victory or defeat. Yet every person he photographed was delighted. I had passing contact with John over the next few years until I moved to the Star. By now he was living in Lisburn, happily married with a family he adored and always looking out for his hometown paper. Often the phone would ring and it would be John. He had just been covering a visit by the Prime Minister or the Queen and recognised someone from Lisburn. Despite the incredible pressure he was under, he had taken a photo and was sending it to us. And of course he knew our deadline was two hours away - and still he made sure we got that picture. Here was a man with enough awards to fill an extension to the house, a man who mixed with princes and presidents yet was so modest that he genuinely never seemed to understand what all the fuss was about. In all the years I was lucky enough to know John only one thing about him changed. It was his marriage to his perfect partner Mandy and his compIete and unending love for his family. He never wanted to talk about himself - but he needed no prodding to start telling you about his family. He was never boastful, just proud. Thrilled by their achievements, but never for a second seeming to think he had anything to do with it. The sense of shock that went round Lisburn and far neyond on Friday was tangible. The staggering turnout at John's funeral was a testament not just to him, but to his wonderful and supportive family who made it possible for him to do what he did so magnificently. Our heartfelt sympathies are with them all at this time. 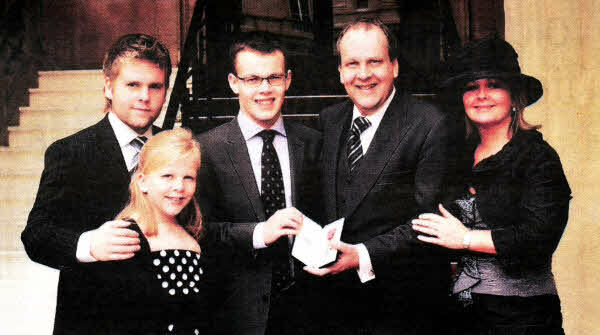 PROUD MOMENT...Peter, Catherine, Thomas and Mandy with John when he received his MBE. THE wife of Lisburn photographer John Harrison who died suddenly at his home in the early hours of Friday morning has spoken of the man who was known to presidents and prime ministers, but to her and her children was just 'an amazing family man'. John (50), who ran one of Northern Ireland's most successful photographic agencies, passed away at his home at the North Circular Road of a suspected heart attack. His wife Mandy spoke lovingly about the man she was so happily married to. They had celebrated their 25th wedding anniversary in September and spent a weekend with friends in Berlin as a celebration. They have three children Peter (21) Thomas (19) and Catherine (13). "I know that he mixed in those sort of circles with politicians, but he never bragged about what he did and when he was at home he was very much a devoted family man," said Mandy. "All his spare time was with us. He did everything to make us happy. "We shared an amazing family life. He did everything for me and the children. There is nothing I would regret or change. He was so full of energy and always on the go. He was as fit and healthy man that you would meet." The family spent time at their holiday home in Portballintrae and John took them to sporting events in Barcelona and Milan to see the Grand Prix and to various rugby events. John, originally from Ballymena, owned his first camera at the age of four. When he boarded at Coleraine Inst he took pictures of rugby matches and sold them on to team members. When he left school he joined the Ballymena Guardian as a junior and then moved to Pacemaker, a photographic agency, before starting up his own business 16 years ago at Great Northern Street. He was on hand to cover all the big events in Northern Ireland and beyond over the past two decades and was awarded the MBE two years ago for services to photography. Last week John travelled to America to cover an official event in Washington. Son Peter, who had started a work placement in New York at the British Consulate six weeks before, met his father beforehand. They went to a New York Giants match and were able to spend weekend in each other's company before John flew onto Washington on Monday. He returned home on Thursday, with Deputy First Minister Martin McGuinness and Mandy picked him up from the Airport. He had a good flight and was in good form. They had tea together at home before he went into the office to make final arrangements for the Queen's visit in Lisburn the following day. Then he and Mandy went to the CIPR Awards at the Europa Hotel where he presented an award. "He never let anyone down," said Mandy. "He loved people and loved being with people. If anyone rang the house late at night he would drop everything to help them out and never grumbled. " 'JOHN Harrison was no ordinary man' - that is how his son Peter summed him his dad in a moving tribute at his funeral on Monday. Addressing the huge congregation at Hillhall Presbyterian Church, Peter described the man behind the lens as 'iconic', a 'legend' but also a family motivated man who had photographed American Presidents, Prime Ministers at Downing Street and had been awarded the MBE. more importantly family always come first." Former First Minister Ian Paisley, who knew John from his young days in Ballymena, also made a moving address to the congregation at one of the biggest funeral services ever seen in Lisburn. 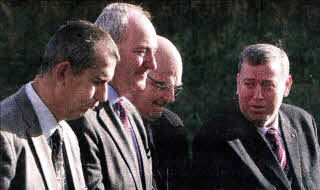 The First and Deputy First Ministers, Peter Robinson and Martin McGuinness, were joined by politicians from every party. People from every branch of the media - newspapers, television, PR - also joined his grieving family and the hundreds of people from every walk of life who knew John as a friend.